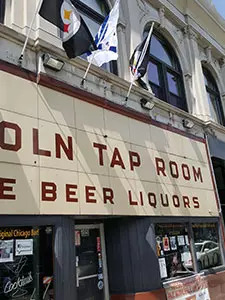 An original Chicago bar, the Lincoln Tap Room has been vital in delivering camaraderie, amusement and intoxication to its West Lakeview neighbors for decades. 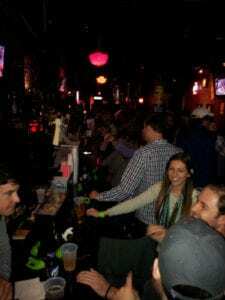 With dozens of beers on tap and bottles and cans, enough whiskey to keep surly Chicago musicians and artists as happy as schoolchildren, and more flavored vodkas than you could ever possibly want to try, the Lincoln Tap Room is your destination for quality cocktails with quality people at quality prices. Attractive people who may want to talk to you! There’s something fun for everyone. And don’t forget to throw your next shindig at the Tap! Call Anthony at (773) 868-0060 or (773) 510-2967 and email at info@lincolntaproom.com. Andi deserves a medal!! Best night ever because of her! Also I’m so happy Sarah’s Circle hosted their event here! Great spot! Just wish it wasn’t a Steelers bar. GO VIKINGS! And GO SARAH’S CIRCLE! Celebrated my cousin's birthday here. Their drink package for the party was a great deal. Service was great, especially from Holly! We recently moved to Nashville and my husbands 50th birthday was fast approaching. Since all of our family and friends still live in Chicago, I wanted to surprise him by having a party with everyone we love in attendance. I also had no time to travel back to Chicago to look at possible party sites. 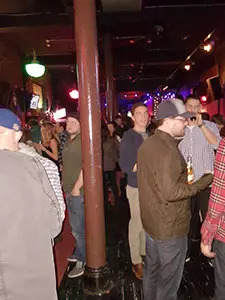 I went online and googled best bars in Chicago to host a party. After reading all the wonderful reviews about Lincoln Tap Room, I contacted them with the party date and time. What I liked the most about booking with them was they did not require a deposit and I could cater food myself. Well that was my initial feelings until I met the staff. The bartenders and staff were amazing. We had about 30 people in attendance and they remembered each and everyone's drinks and names throughout the night. After the party on my way back to the hotel, the owner sent me an email thanking me for choosing Lincoln Tap Room to host the party. Talk about customer service. You can't go wrong hosting a party here. You guys! 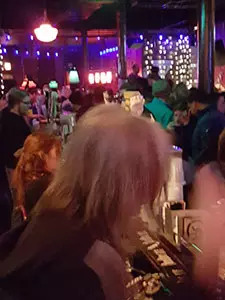 Go to this bar! My fiance through me a surprise 30th birthday here on March 2nd and it was was the best bday I've ever had. She rented out the back section for us which was plenty of room for about a party of 40. They let her decorate the space and bring in food. We were also provided a waitress who was absolutely amazing, always available and was keeping separate tabs. I wish I remembered her name. The bartenders were the best. They were totally down for the party and never complained when my friends would make ridiculous requests like half Malort half rumplemintz shots. Yikes. They also let the jukebox play whatever my group put on. We jammed, played darts and pool, and drank until it was time to go home and the staff even said bye to me like I was a friend. AND THEN I forgot two bottles of whiskey in the back area that were gifts and our waitress ran them out to me right before my Uber left. Best night ever. Thank you Lincoln Tap Room for killing it on my Bday. Incredible beer choices, massive open space, and... the scene of filming for the Color of Money, one of the best sequels/interpretations ever recorded. Had an absolute ball here watching the Cubs' first home Series game in 71 years, and the reason is the STAFF, singularly funny and gracious and helpful as could be. A do-not-miss joint.